HomeWho can I call for help? This page provides links to individuals and organizations that are able to assist New York’s nonindustrial private woodland owners. These groups each have unique mandates and services, please select those you think will be most useful to your needs. Also, see “Assistance for NY Forest Landowners” for a comprehensive look at who’s available to help with woodland management. Cornell Cooperative Extension County Associations provide the critical function of linking the land grant university to the citizens. County associations provide a variety of educational programs, but the actual programs provided in a county reflect local needs and the availability of resources. The county cooperative extension office is an ideal place to begin if you are not certain where to go, or if you are interested in a specific educational program, such as landowner workshops or 4-H.
Master Forest Owner Program (MFO) volunteers are part of Cornell Cooperative Extension program that trains private woodland owners to provide free NON-technical assistance to other private woodland owners. The MFO program is a peer-counseling program, and has been effective in providing private woodland owners with a “neighbor” who has asked the same questions and had the same concerns. MFOs will make a free visit to your property and help you focus you questions and determine where to look for technical advice. There are over 150 MFOs throughout New York if you are interested in requesting an MFO to visit your land click here. More information is available on the MFO website. The New York State Department of Environmental Conservation (DEC) is the state’s lead agency for the delivery of technical forestry assistance. In the DEC, the Division of Lands and Forests through their Bureau of Private Land Services, coordinates the Cooperative Forest Management program. The CFM program provides free on-site visits to private woodland owners and assists in the delivery of technical needs. For landowners who can clearly state their management objectives, or those who need assistance with technical questions of woodland management or timber harvesting, the CFM program is an appropriate place to initiate your quest for assistance. Contact your nearest regional office of DEC, or look in the government section of your phone book for a local office. 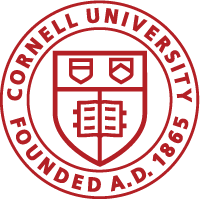 Cornell Cooperative Extension conducts annual workshops for tax preparers and advisors. A listing of past attendees is also included at this link. We do not screen these people for competancy but the list provides a place for you to look for assistance with taxes.